Amin’s office had denied any rule or law had been violated in setting up the offshore entities or in any transactions. According to ED, its probe has found that Amin and his family members had invested .6 million for purchase of a 3BHK apartment in Campden Hill, UK through Whitefield Chemtech Pvt. Ltd., India. 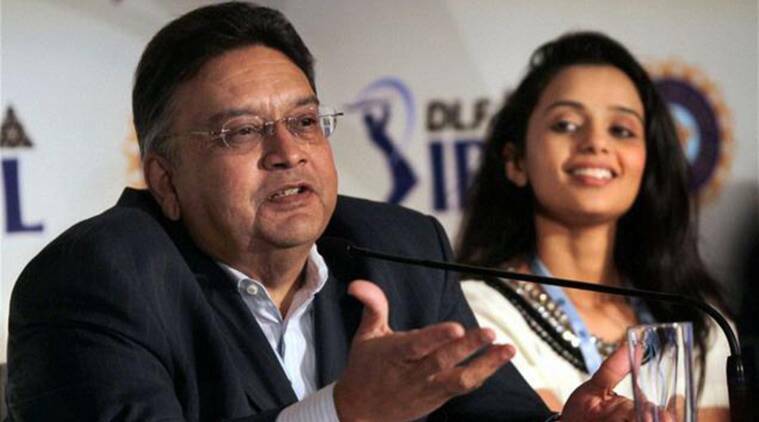 Investigation into the Panama Papers case has revealed that a company owned by former Indian Premier League chairman Chirayu Amin allegedly brought back investments made abroad to India. The company is among the many exposed by The Indian Express through its Panama papers investigations in 2016. The company, along with another, has been issued a show-cause notice last month by the Adjudicating Authority under the Foreign Exchange Management Act (FEMA) following petitions by the Enforcement Directorate (ED). The ED has been probing a case of forex violations against Whitefield Chemtech Pvt Ltd, a company owned by Amin, and Sintex Industries Ltd. Both had allegedly retained proceeds of sale of properties acquired through overseas direct investment (ODI) in foreign countries. Retaining such proceeds in foreign locations is in contravention of the provisions of the Foreign Exchange Management Act (FEMA). ED has now found that Whitefield Chemtech brought back its investments of $1.6 million back to India. “The company has sold the property it acquire in the UK through its investment and remitted the money to India. This action has been undertaken by the company following attachments carried out by the agency,” a senior ED official said. The agency had in December 2017, attached mutual funds worth Rs 10.35 crore belonging to Whitefiled Chemtech under Section 37A of FEMA. “The name of Shri Chirayu Amin and his family members had figured in the Panama Papers case with respect to their stakes/ interests in M/s Whitefield Global Investments Limited, BVI (British Virgin Islands). Accordingly, investigations under FEMA, 1999 were initiated…” an ED statement had then said. According to ED, its probe has found that Amin and his family members had invested $1.6 million for purchase of a 3BHK apartment in Campden Hill, UK through Whitefield Chemtech Pvt. Ltd., India. “For purchase of this property in UK, M/s Whitefield Chemtech Pvt. Ltd. transferred an amount of $2.4 million to its subsidiary in Singapore in the form of Overseas Direct Investment. This amount was further transferred to its step-down subsidiaries in UAE and British Virgin Island from where finally $1.6 million was used for purchase of this property,” ED has said. According to ED, Section 37A of FEMA stipulates that if certain foreign exchange, foreign security or immovable property is held outside India in violation of FEMA, then value equivalent can be seized within India. The attachment was confirmed by the Adjudicating Authority in May 2018 and it has now issued a show-cause notice to the company. On May 6, 2016, The Indian Express had reported that Amin—promoter of Alembic Pharmaceuticals Ltd—and his family members are listed as beneficiaries of Whitefield Global Investments Ltd, which was incorporated in the British Virgin Islands (BVI) on October 1, 2015, according to records maintained by Panama law firm Mossack Fonseca. Amin’s office had denied any rule or law had been violated in setting up the offshore entities or in any transactions. “All our overseas investments are fully compliant with relevant FEMA and RBI regulations and have been duly disclosed to the regulators,” his office had replied in an email. Amin told The Indian Express that Whitefield did not have any relation with Alembic Pharmaceuticals. In the case of Sintex Industries too, ED had similarly attached properties to the tune of Rs 48.87 crore in India in December 2017 in lieu of proceeds of sale of property held abroad. The Adjudicating Authority has issued a showcause notice to Sintex as well under FEMA last month. The attachment had been made following probe into floating of offshore entity Amarange at British Virgin Islands by Sintex owner Rahul Patel. On April 7, 2016, The Indian Express had reported that Patel — one of the three managing directors of Sintex Industries Ltd, an Ahmedabad-based company that has made a name for itself in manufacturing water tanks — is among promoters of the company listed on BSE. Panama Papers show Patel was a director with a BVI entity named Amarange Inc which was registered in 2008. The company was used to buy properties in Singapore. Rahul A Patel told The Indian Express in 2016: “We have a number of companies registered abroad. I am not sure if Amarange Inc is still ours. I do not deal with the financial part.” In response to a questionnaire sent to Patel, managing director of Sintex Industries, Amit D Patel had admitted to acquiring Amarange Inc but said all RBI guidelines had been followed.